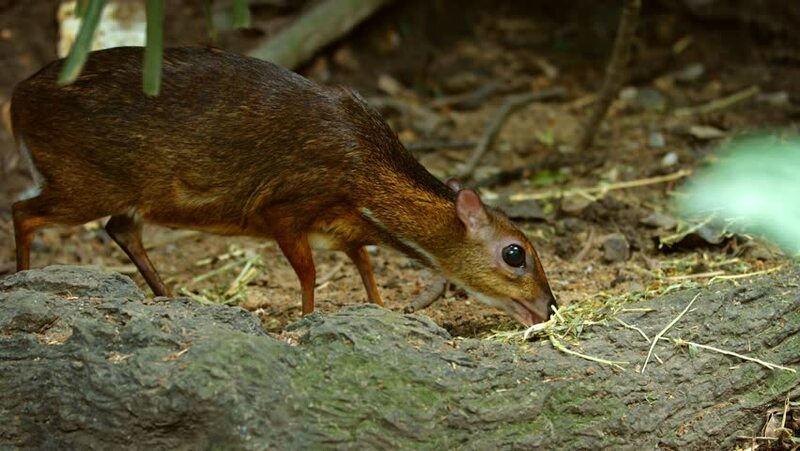 Adorable Javan chevrotain. grazing nervously in his habitat enclosure at a popular public zoo. with nature sounds.